When did eating get so complicated? I imagine the first humans reading the title of this article then bursting into howls of laugher saying, “You eat when you’re hungry and when there’s food available! 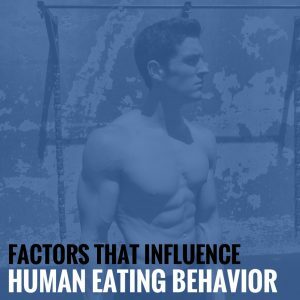 Article done!” And while I wish it were always that simple, unfortunately, the motivation behind human eating behavior is more complex. 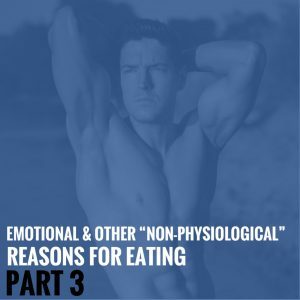 Welcome back to the final installment of our emotional eating series. 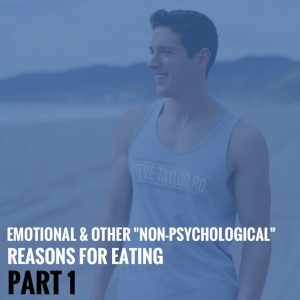 In this last piece, we will cover the emotional eating cycle and the steps to break it. To help with overall flow and coherence, this final segment is covered via video in place of the article format used in parts 1 and 2. 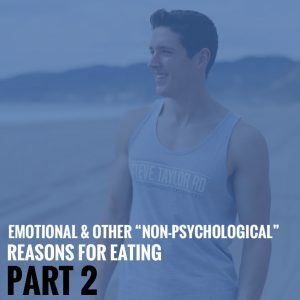 Welcome back to part 2 of our mini-series on emotional and other non-physiological eating behaviors. 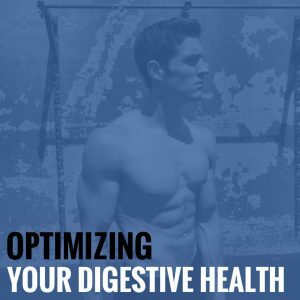 Now that we’ve identified some of the major reasons for eating, other than being physically hungry, how do we resolve them? Do we even need to resolve them? You’re at the office, cranking diligently away on an intense project that was just assigned to you and your division. You look up, and glance over at one of your teammates, only to see him staring blankly at the wall, totally lost in trance. 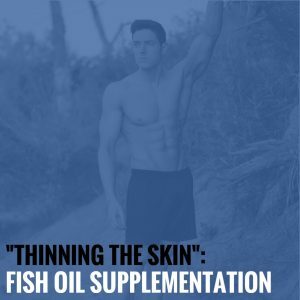 “Thinning the Skin”: Fish Oil Supplementation By Steve Taylor R.D. 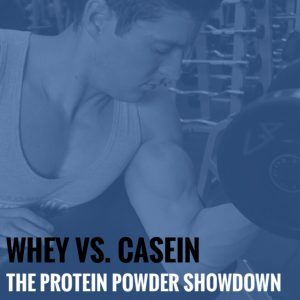 When you think of protein powder, what are the first two “types” that come to your mind? 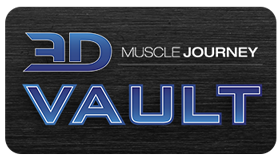 For many, it’s whey and casein protein. Why is that? 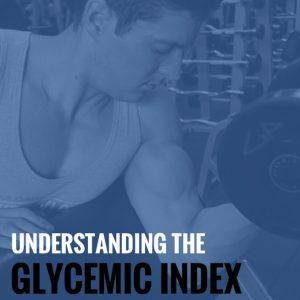 Understanding the Glycemic Index: Carbohydrate Digestion & Absorption By Steve Taylor, R.D. 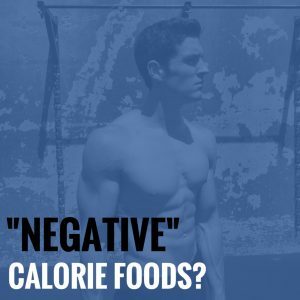 “Negative” Calorie Foods? 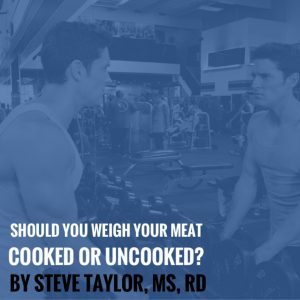 By Steve Taylor, R.D.